After a decade of unilateral support, collaborations, and various cultural exhibitions the camps of Guerrilla Republik and Peasant Podium Music/Guerrilla Grooves Radio unite to bring you a mixtape of epic proportions. Utilizing the global connections established by the Guerrilla Republik network, the GR Mixtape features many of the MCs and artists that embody the Guerrilla Republik mission. As an extension of Guerilla Republik family, Guerrilla Grooves Radio hosts, DJ Fredones and Rhinoceros Funk of Guerrilla Grooves Radio host and navigate the project. The GR Mixtape offers an approach previously unseen on prior Guerrilla Republik mixtapes. The Guerrilla Grooves Radio collaboration provides an effortless blend of the featured tracks, taking the listener back to an era of transitions, scratches, and traditional mixtape standards. 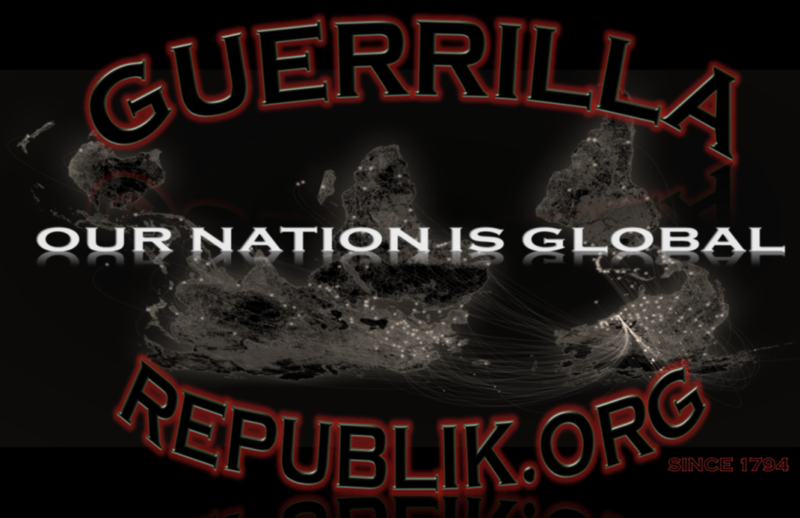 The project features various representatives of the Guerrilla Republik global camp, including countries like Colombia, Brasil, Venezuela, Bulgaria, and the United States. Enjoy The GR Mixtape, the message, and the movement. One!